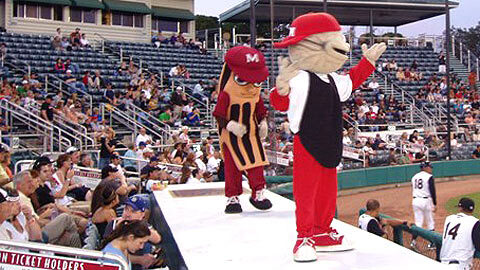 The Modesto Nuts have been selected as the host of the annual California League/Carolina League All-Star Game in 2011. The All-Star classic presented by Jackson Rancheria Casino and Hotel will be held at John Thurman Field on Tuesday, June 21, 2011. The game will feature the top players from the California League against the top players of the Carolina League. The event host alternates between leagues each year. The 2009 All-Star game was hosted by the Lake Elsinore Storm, while the 2010 game will be hosted by the Myrtle Beach Pelicans. "We are excited to bring a showcase event to the Modesto community," said Mike Gorrasi, team vice-president and general manager. "By hosting the All-Star game in 2011, we will have the opportunity to put the city of Modesto in the baseball spotlight, while giving our fans the opportunity to see some of the best prospects in all of Minor League Baseball." The All-Star game will be the signature event of the two-day festivities that will include a welcome reception, Fan Fest, postgame parties and more. Modesto was selected as the host city by a vote of the general managers in the California League. This will be the first time that Modesto has hosted this event. The 2011 game will be the 15th contest between the two leagues. The Carolina League was won six of the 13 contests with two ending in a tie. Jackson Rancheria Casino and Hotel is no stranger to All-Star games. The Casino and hotel, located in Jackson, Calif., has been a sponsor of past All-Star games in Stockton and Sacramento. "We are proud to partner with Jackson Rancheria Hotel and Casino," said Gorrasi. "We will both ensure that the fans enjoy a great night of baseball and the players will cherish their All-Star experience in Modesto."